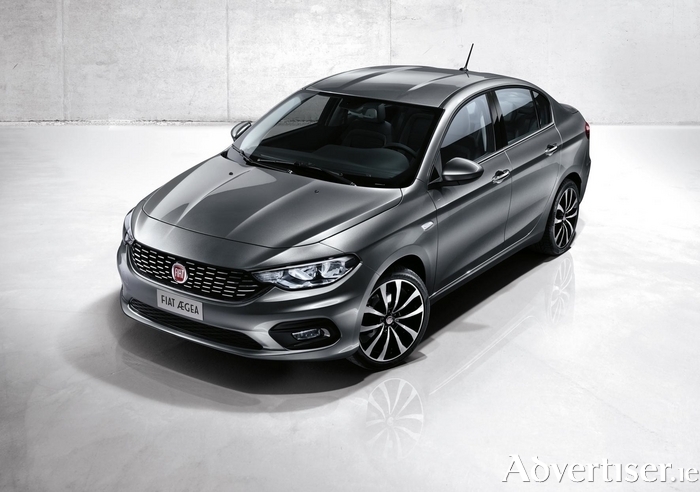 The new FIAT compact sedan debuted last week at the Istanbul Motor Show and the Italian carmaker really needs something new to add to its successful 500 range. Designed in Italy and developed in Turkey together with Tofa R&D, the new model, currently known as Fiat Aegea project, will be manufactured in Turkey. To further reiterate the importance of the Turkish market and to help grow FCA’s presence in the region, the Istanbul Motor Show has been chosen to debut this important new model. Sales will commence in Turkey in November 2015 and will gradually expand into more than 40 countries in the EMEA (Europe, Middle East and Africa ) region. The Fiat Aegea Project was conceived from the outset as a new three-volume sedan rather than as a hatchback with a boot, resulting in perfectly balanced proportions and cohesive, flowing lines as demonstrated by the elegant swage line that flows beautifully from the corners of the headlamps to the leading edge of the rear light clusters. This design cohesion is particularly noticeable at the rear end where the car’s surfaces, lines, and detailing all converge harmoniously to give the Fiat Aegea Project a distinctive, attractive, and perfectly-resolved appearance. The front end is characterised by a sculpted bonnet, with central ribbing that stretches across the roof to create a continuous line, and a broad grille with intercalated chrome-effect accents which form an unmistakable graphic pattern, flanked by sophisticated, swept-back headlamp clusters, all of which combine to define the confident and unmistakable Italian style of the new Fiat Aegea Project. At 4.5m in length, 1.78m in width, and 1.48m in height, and with a wheelbase of 2.64m, the Fiat Aegea Project has been designed to accommodate five passengers comfortably and easily cater for their luggage as well, with a load capacity of over 510 litres. As with all Fiat products, a wide range of reliable, muscular and efficient engines will be available – two multijet II turbo-diesel engines and two petrol units with power outputs of between 95 and 120hp. Available with manual and automatic transmissions (depending on engine ), it is worth noting the diesel engines are particularly fuel-efficient - upwards of 70mpg (comparable to that of a city car ) is possible. Inside, the Fiat Aegea project is not only styled and built to the highest standards, it also sports the latest technological features including Fiat Chrysler Automobiles’ Uconnect™ infotainment system equipped with a five-inch colour touch screen; hands-free Bluetooth calling with audio streaming, SMS text reader and voice recognition; AUX and USB ports with iPod integration; steering wheel controls and, on request, a rear parking camera and TomTom satellite navigation.